Google Analytics offers a valuable tool to show how public relations activities help meet business goals. PR professionals need first-rate Google Analytics skills to prove the value of their work to corporate superiors or agency clients. These are some valuable ways PR can use the web analytics to measure the impact of media placements. In analyzing results in Google Analytics, Web-savvy PR pros pay particularly close attention to referral traffic. Since media placements may have links to the company’s website, PR pros can examine referral traffic under the acquisition section of Google Analytics to learn how many people clicked on the link to visit the company’s websites. That’s why it’s essential to ask the publication to include a link in the article and to include links back to the corporate website in press releases. Set up an advanced segment named PR placements to track placements in a central location, recommends Katie Donabedian at Walker Sands Communications. Enter the URLs of media placements in the segment. Once the segment is set up and turned on, click on the referrals report to view how many visits PR placements sent to the site as well was the percentage of traffic from placements. Importantly, the segment also shows how many clicks-throughs from PR placements led to conversions, such as newsletter sign-ups, white paper downloads, or sales leads. Just be sure those actions are set up as goals in Google Analytics. “If you are creating content that includes whitepapers, data studies or infographics as part of your PR program, make sure you put them up on your website behind forms and track them as goals,” Donabedian says. Setting up goals is one of the first steps of Google Analytics. To determine goals, identify visitor actions that add value, such as downloading a white paper, completing registration forms or asking to be contacted. Then determine a dollar value for the goal. Ecommerce goals are straightforward. Some ecommerce platforms can automatically transfer values. In a simple example, if a sale is $100 and 100 sales lead are needed to complete one sale, a sales lead is worth $1. PR can work with their marketing and sales teams to obtain dollar values. If they cannot obtain firm costs, they can estimate or infer values. Of course, many people who read an article in a publication or blog may visit the company website later by searching for the company’s name on Google in what’s called a branded search. If analytics is integrated with the search console, PR pros can find branded searches under the search console queries report found in the acquisition section of Google Analytics. Branded search, or searches for the company name, also gauges the success of offline PR campaigns. The geo tab under the Audience tab, which breaks down website visitors based on geographic location, can help indicate success of print placements. For example, if you placed an article in the Chicago Tribune, monitor the increase in traffic from Chicago and Illinois, says Stephanie Vermillion, a former senior account executive at Wordsworth Communications. PR teams can infer that their media placement boosted traffic by noting spikes in web traffic after media placement are published. In addition, the time comparison feature, which compares traffic changes between different periods, can indicate how PR campaigns help boost traffic over extended time periods. For instance, compare traffic from the six months before PR plan implementation to the six months during your plan. PR pros can learn the ins and outs of the tool by completing Google Analytics Certification through Google Analytics Academy. Certification, which is free, is obtained by completing online courses and correctly answering online questions in timed tests. With a background in how the platform functions, PR pros can more easily respond to any changes needed to ensure that content is seen. Google analytics training and support also offers a demo account, YouTube channel and an analytics blog. The certification can advance the career path of PR pros by verifying analytics skills. While Google Analytics offers a wealth of data on website traffic, it has limited worth as a PR measurement tool. The principal goal of PR is not usually to increase website traffic. It’s typically to build brand awareness. The right article placed in the right publication will improve brand awareness among key audience members and prompt them to take desired actions. For instance, important investors or influencers may read the article, prompting a major business development or investment. Google Analytics will not report that. Web analytics ignore the treasure trove of data outside the organization’s website, including company and product mentions on news sites, blogs and social media. To properly gauge PR effectiveness, organizations must analyze the entire Web, including social media, not just their own website. While Google Analytics adequately reports general metrics such as websites visitors, more sophisticated measurements specific to PR purposes require a media monitoring and analytics service. Metrics that a media monitoring service can report, and Google Analytics cannot, include share of voice, sentiment, and the reach of messages in media placements. 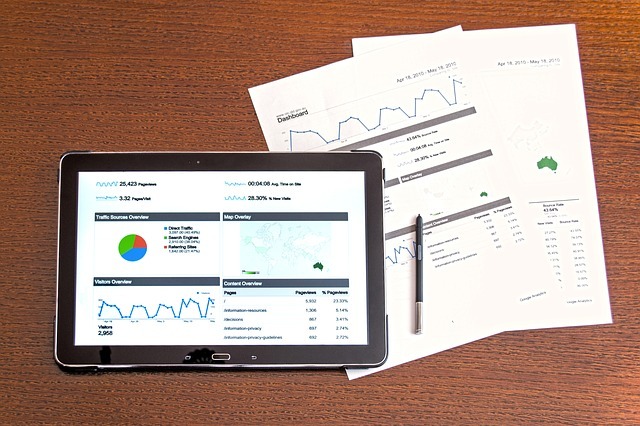 Some media analytics services such as Glean.info, previously CyberAlert LLC, can create custom metrics to meet specific PR goals of individual client companies. Most all media monitoring and measurement services for PR send automated email alerts and organize data from all online sources into a single dashboard. Glean.info can incorporate Google Analytics results into its digital PR analytics dashboard. Bottom Line: Understanding Google Analytics is a required skill for modern PR professionals. The service can report referral traffic from media placements and help infer how PR campaigns boost website traffic. However, only a media monitoring and measurement service can analyze PR’s full impact beyond the website and measure how PR improves brand awareness.